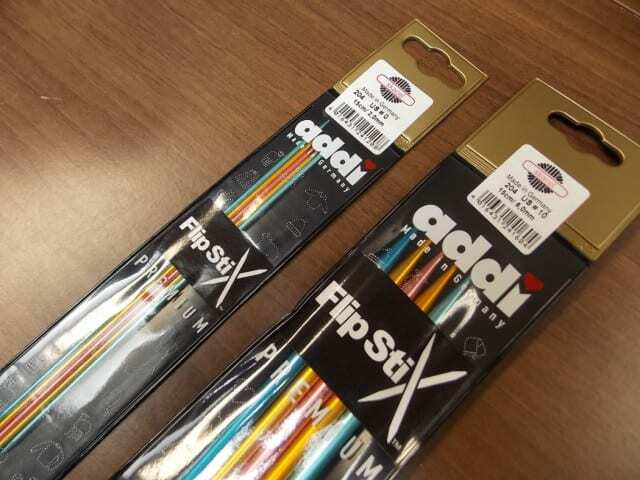 Addi has created a new kind of double pointed needle: meet Addi FlipStix. Some plant fiber yarns have a tendency to split, and for those, a blunt needle is preferable. Some stitch patterns require the precision of a sharp needle. FlipStix have a blunt Turbo point on one end and a sharp Lace point on the other, so you can flip them over to use the end that best suits your project or yarn. They’re made of high-grade aluminum, colorful and lightweight, a real change of pace from our mostly-wooden double pointed needle selection. 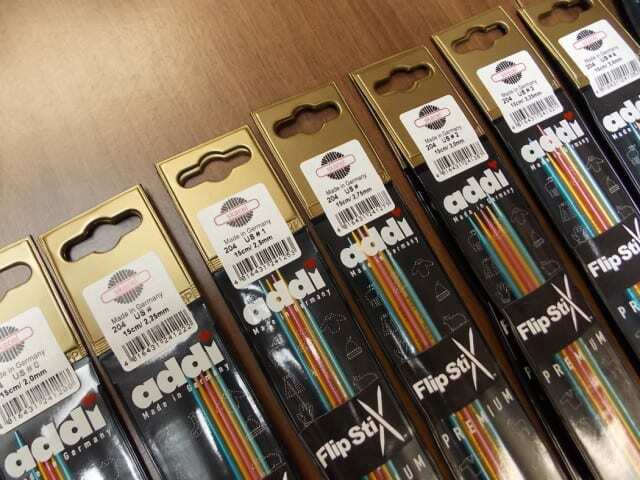 We carry Addi FlipStix in 6″ length, in US sizes 0 – 10. Look for them in the double pointed needle section, along with DPNs from Knitter’s Pride, Crystal Palace, and Lantern Moon. See you at the shop!